Consultation ends 19th April - please help save this important wildlife corridor ! 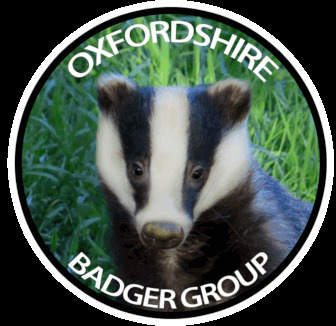 Oxfordshire Badger Group is setting up vaccination project to start in 2019. We are crowdfunding to raise the money needed to launch the project. If all goes well it will start in 2019 and run for at least four years. Working with local farmers, we will be humanely trapping badgers overnight, vaccinating and releasing, under licence. If you can volunteer to help in any way or want to discuss arranging for vaccination of badgers on your land please please email Debbie. Vaccination is labour intensive and costly (albeit cheaper and more humane than culling). We are applying to various bodies for grants and crowdfunding. The more funds we raise from the community, the more we can apply for and in turn the more badgers we can vaccinate. Please help if you can, every donation will be put to good use and will help save stripy, furry, snuffly, slightly grumpy lives across the county. The best way to donate is by BACS payment. Alternatively, visit our crowdfunding site but be aware that will take a small handling fee. OBG Vaccination project in the news ! A good article by Tom Williams in the Oxford Mail on 16th January. Well worth a read. The Government has announced that over 32,000 badgers were killed during the 2018 cull. Yet DEFRA recognise that vaccination - done methodically and to high practice standards - is an possible alternative to culling. Thankfully the cull did not come to Oxfordshire in 2018. It may well do so in 2019. OBG believes that the existence of a vaccination programme would help reduce that risk and also provide a valuable service and reassurance to local cattle farmers. We have successfully bid for Badger Trust 'start up' funding and are applying for other grants.